John DeRoo studied printing since middle school and worked for several Chicago print production firms over the years. He owned his own business, DeRoo Printing, before joining SPC. In his spare time, John volunteers with the Central Florida Boy Scouts of America and is the Vice Chair of the Board of Directors for the Mustard of Florida. John thrives on the excitement and reward of completing customs projects on a budget and in a timely manner. 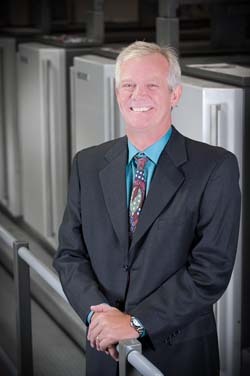 His technical proficiency will allow him to produce exceedingly high-quality pieces of print work for all SPC’s clients. “I’m happiest when I have ink under my fingers,” he said.